Everyone calm down! Return your pitchforks to their rig htful habitats! Extinguish your flaming torches! I’ve changed my mind about something! Avid readers of RosieThePostie will be aware that I recently composed a post discouraging those who have the privilege to vote in the London Mayoral elections (tomorrow) to abstain from crossing the box that would coax the shaggy haired Bojo Jojo Boris Johnson back onto the throne as London Mayor. My reasons were simple; in spirit of how unfair it is of how ridiculously priced bus travel is, we should consider our options. 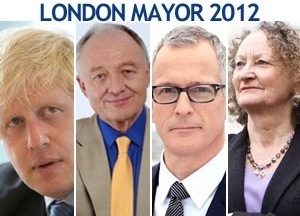 That doesn’t mean having to submit our vote to the other half of the Barbie and Ken (Barbie.. Blonde.. Boris.. Ken.. No? Okay) duo, but just have a little peek at the other candidates. After all, the voting system does allow you to make a second choice. Who will it be? The viscous Green party representative, Jenny Jones, who looks like she needs a sit down with a hair stylist and a bottle of Herbal Essences? Or one of the other independent candidates who I cannot be bothered to Google? It’s not like I get to vote anyway . YES I changed my mind because YES I now like Boris and the Conservatives a great deal more after following the campaign and YES you should vote for him, and no don’t worry, I won’t suggest anyone votes for a Labour representative again. I am admitting defeat! The stubborn part of being a Taurus (at least that’s what my hair dresser puts it down to) has been crushed! So please, am I permitted to change my mind without angst from everyone else? If you ask me, I think we have a bit of a warped attitude to change in this culture. Ask anyone selling the Big Issue and they’d love some change (pun), and party leaders (looking at you Obama) can’t get enough of it. On the flip side, when Mark Zuckerberg’s team stretch out their billionaire fingers and make an alteration to the Facebook interface, National Bloody Disaster. I make a minor alteration to my political outlook, and I feel like I’m letting someone win. I feel like the strength of my conviction has taken an almighty stub on the toe, and is curled up in crippling pain on the floor. So what I’m really saying is that if Boris has to crawl back into his cave, fall back into the river or cycle off sheepishly into the polluted London sunset, I will feel a tad responsible.